In addition to specific forms of poems, poetry is often thought of in terms of different genres and subgenres. A poetic genre is generally a tradition or classification of poetry based on the subject matter, style, or other broader literary characteristics. Narrative poetry is a genre of poetry that tells a story. Broadly it subsumes epic poetry, but the term “narrative poetry” is often reserved for smaller works, generally with more appeal to human interest. Narrative poetry may be the oldest type of poetry. Epic poetry is a genre of poetry, and a major form of narrative literature. This genre is often defined as lengthy poems concerning events of a heroic or important nature to the culture of the time. It recounts, in a continuous narrative, the life and works of a heroic or mythological person or group of persons. Dramatic poetry is drama written in verse to be spoken or sung, and appears in varying, sometimes related forms in many cultures. Poetry can be a powerful vehicle for satire. The Romans had a strong tradition of satirical poetry, often written for political purposes. Light poetry, or light verse, is poetry that attempts to be humorous. Poems considered “light” are usually brief, and can be on a frivolous or serious subject, and often feature word play, including puns, adventurous rhyme and heavy alliteration. Lyric poetry is a genre that, unlike epic and dramatic poetry, does not attempt to tell a story but instead is of a more personal nature. Poems in this genre tend to be shorter, melodic, and contemplative. Rather than depicting characters and actions, it portrays the poet’s own feelings, states of mind, and perceptions. Refer to my analysis of lyric poetry and its association with lyrics, here. An elegy is a mournful, melancholy or plaintive poem, especially a lament for the dead or a funeral song. The term “elegy,” which originally denoted a type of poetic metre (elegiac metre), commonly describes a poem of mourning. The fable is an ancient literary genre, often (though not invariably) set in verse. It is a succinct story that features anthropomorphized animals, plants, inanimate objects, or forces of nature that illustrate a moral lesson (a “moral”). Prose poetry is a hybrid genre that shows attributes of both prose and poetry. It may be indistinguishable from the micro-story (a.k.a. the “short short story”, “flash fiction”). While some examples of earlier prose strike modern readers as poetic, prose poetry is commonly regarded as having originated in 19th-century France, where its practitioners included Aloysius Bertrand, Charles Baudelaire, Arthur Rimbaud and Stéphane Mallarmé. Prose poetry is poetry written in prose instead of using verse but preserving poetic qualities such as heightened imagery, parataxis and emotional effects. A famous example of prose poetry is Dylan Thomas’s Under Milk Wood, though the “play for voices” also contains actual poetry, written by the characters, like the hymn by the “Reverend Eli Jenkins” and the traditional songs sung or recited by other characters. While Under Milk Wood is largely a pleasure to listen to and has pathos, a prose poem which is as famous but not half as easy to take in is By Grand Central Station I Sat Down and Wept, a novel of prose poetry written by the Canadian author Elizabeth Smart published in 1945. It is widely considered to be a classic of the genre. It uses metre (it is largely anapaestic), contains words denoting exalted or intensified states (grandeur, centrality, weeping). The sentences are long, complicated and dense and it goes on and on for many painful pages. I tried once or twice to read it all, and failed. Among major structural elements used in poetry are the line, the stanza or verse paragraph, and larger combinations of stanzas or lines such as cantos. Also sometimes used are broader visual presentations of words and calligraphy. These basic units of poetic form are often combined into larger structures, called poetic forms or poetic modes, as in the sonnet or haiku. It has long been a tradition for poets to write the traditional Japanese Haiku and Tanka poetry in English, mainly because of the challenge of the limited syllables and lines, and requirement for one definitive image. Of course, the format was designed for Japanese, not English, and to a certain extent, writers of haiku in languages other than Japanese or Chinese will always be playing catch-up with the leaders in the genre. On the other hand, the discipline and, at the same time, simplicity of the haiku format, makes it one that I, for one, cannot resist. Haiku is a Japanese verse in three lines. Written in English, line one has 5 syllables, line 2 has 7 syllables and line three has 5 syllables, 17 in all. 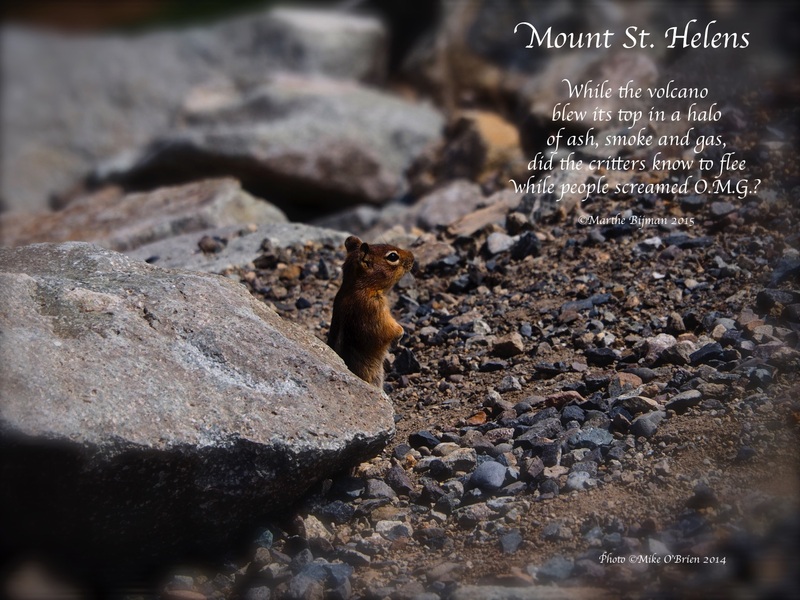 Haiku is a mood poem and it doesn’t typically use any metaphors or similes. This is often represented by the juxtaposition of two images or ideas and a kireji (“cutting word”) between them, a kind of verbal punctuation mark which signals the moment of separation and colours the manner in which the juxtaposed elements are related. Also, it often refers to a nature, a season, time or period by subtle means. 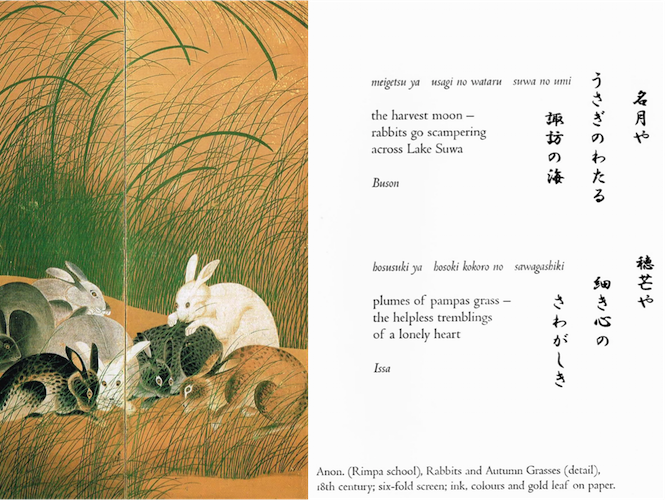 Those are practical reasons, to make the haiku more accessible to English readers. However, considering the intentional half-said nature of haiku, perhaps illustrations actually gild the lily and are superfluous. Here is an example from the very beautifully produced book, The British Museum Haiku, by the haiku master, Būson. On Cobb’s website, you can read his haiku – eight of his volumes of haiku poetry are still in print. Other variations of Haiku are one-word haiku, haiku with four or more lines, circle haiku, whereby the poem has no fixed start or end point. Tanka (meaning “short poem”) is a modern Japanese poem (or “waka”) form, consisting of five units (often treated as separate lines when romanized or translated) usually with the following pattern of syllables 5-7-5-7-7. It offers the struggling haiku writer a bit more flexibility.